Wash me thoroughly from mine iniquity: And cleanse me from my sin. Against Thee only have I sinned, and done this evil in Thy sight: That Thou mightest be justified when Thou speakest, and be clear when Thou judgest. Behold, I was shapen in iniquity: And in sin did my mother conceive me. Make me to hear joy and gladness: That the bones which Thou hast broken may rejoice. Hide Thy face from my sins: And blot out all mine iniquities. Create in me a clean heart, O God: And renew a right spirit within me. Restore unto me the joy of Thy salvation: And uphold me with Thy free spirit. There is no romance in a new monastery whatever one hears. There is hard work, deprivation and the secret comfort of closeness to God on occasion. Anyone who has ever lived either the eremitic life or the cloistered life knows full well, that no matter the beautiful or remote location, the monastic life is no easier or more romantic than the life of a Christian who chooses to marry and raise a family. Different paths – to the same end – theosis. The eremitic life is difficult in that the hermit is responsible for everything – all obediences are his. Only when he has mastered the art of continuous prayer is he able to fulfil the requirement of praying properly. The coenobitic monastery is valuable to the Church not because it runs retreats, provides picnic facilities, produces cheap candles or incense or becomes a mission in its area (although this latter is of great value). It is valuable to the Church because of prayer. Because it sets aside so much time to bring before God the things of the Church and the world. Its not that God doesn’t know what’s going on – but rather that there is a portion of the population which is trying to distance itself from the surrounding atheistic corruption and evil. The monk talks to God daily about this situation. This in turn brings the monk into ever closer alignment with God’s will. The Church ever had some form of monasticism – even before the desert Fathers went out, there were individuals and small groups who tried to lead a prayer-centred life in the cities, e.g., communities of virgins and widows in Rome. In the west – in Great Britain – the Church came with Saint Aristibule in AD 37 and proceeded to convert the Druids. The Druids held a theology remarkably prescient of Christianity. They were not a “church” but rather collegiate groups across the country and these colleges were readily converted and many began to lead the monastic life. The Church needs those who quietly pray and who are able to spend time praying on behalf of the Church. The Church through its monasteries spread around the world thus prays continuously, is continuously conversing with God – and this alone is the point – as Christ’s body here in earth, the Church MUST be in this continuous mystical conversation with God. This is the Church’s real connection. The wider people of God come together in the Liturgy once a week as is due and proper, but in the meanwhile the conversation must continue unabated. Whereas the earliest Christians could to some extent rely on the spreading numbers of people who had direct family lore from members who had actually seen/met Christ/the Apostles, we can not. The trick for Christianity now is for those of us who seriously experience God to pass on the experience through family friends so that a new generation of Believers can arise who know of actual experience of God rather than dry book stuff. Only a man who is rich in God and can be free from attachment to possessions and to money, which have enslaved humanity. Only a man who is rooted in God can unfailingly preserve peace and magnanimity when confronted with manifest evil. Only a man who has become like God can demonstrate such love to others, such that he can sincerely place their interests above his own. This cannot happen if his faith had been confined to rituals, collections of rules, and pretty words about God, without real experience of life in Christ. He must have experience of living communion with God. The soul that loves God has its rest in God and in God alone. In all the paths that men walk in in the world, they do not attain peace until they draw nigh to hope in God. To truly experience God, you must always have the fear of God in your heart, and remember that God is always with you, everywhere, whether you are walking or sitting. You must love every man with your whole soul, but put your hope in the one God, and serve Him alone. For as long as He is protecting us and our friends (the angels) are helping us, our enemies (the demons) cannot inflict evil upon us. But when He forsakes us, and also our friends turn away from us, then our enemies receive power over us. If a man has no worries about himself at all for the sake of love toward God and the working of good deeds, knowing that God is taking care of him, this is a true and wise hope. But if a man takes care of his own business and turns to God in prayer only when misfortunes come upon him which are beyond his power, and then he begins to hope in God, such a hope is vain and false. A true hope seeks only the Kingdom of God… the heart can have no peace until it obtains such a hope. This hope pacifies the heart and produces joy within it. Think on these few thoughts – for in them is much of the secret of experiencing God and until you do that, you are of no use to God or man. You must become close to God in order to experience Him, and to understand what is necessary. He must have experience of living communion with God. The soul that loves God has its rest in God and in God alone. You must love every man with your whole soul, but put your hope in the one God, and serve Him alone. For as long as He is protecting us and our friends (the angels) are helping us, our enemies (the demons) cannot inflict evil upon us. These are important thoughts. Even so, as with the Bible, we need to read and re-read and fully understand them. They are NOT simple statements at all, there is much meaning in them that we must understand. The Cloud of Unknowing author writes of four degrees of Christian life: Ordinary, Special, Singular and Perfect. Three of these may be begun and ended in this life, the fourth may be begun in this life but is ended in eternity. Writing at a time when the Church east and West were still talking about repairing the Great Schism, the Cloud is a worthy work to read. Once again, at the outset of the Christian year, on this first Sunday of Advent, we contemplate the everpresent King, the Saviour Who came and Who will come again to this earth. Luke 4:16-22 is an admirable early Advent text which reads: “And He came to Nazareth, where He had been brought up: And, as His custom was, He went into the synagogue on the sabbath day, and stood up for to read. And there was delivered unto Him the Book of the Prophet Isaiah. And when He had opened the book, He found the place where it was written, The Spirit of the Lord is upon me, because he hath anointed me to preach the gospel to the poor; he hath sent me to heal the brokenhearted, to preach deliverance to the captives, and recovering of sight to the blind, to set at liberty them that are bruised, To preach the acceptable year of the Lord. And he closed the book, and he gave it again to the minister, and sat down. And the eyes of all them that were in the synagogue were fastened on him. And He began to say unto them, This day is this scripture fulfilled in your ears”. The Law which governed Israel as a theocracy from the time of Moses until the time of Christ foreshadowed Christ. The Jubilee Year, (the acceptable year of the Lord) brought freedom from financial debts. Christ is our freedom from our debts to God: The offences which we have committed throughout our lives. Here we see Christ’s fulfillment of all of the Old Testament’s Law. “Advent” means “coming.” Christ comes to man in Bethlehem, in His Word and He will come again on Judgment Day. We in Advent look forward to that Second Coming and we prepare ourselves as we await Him. Not only does Christ fulfill all of the Old Testament Law, but He fulfills all the Messianic Promises in the Old Testament. In the above text He fulfills Isaiah 61:1-3. In Acts 10:43 Peter said: “To Him all the prophets witness that, through His Name, whoever believes in Him will receive the remission of sins.” Jesus said (John 5:39): “Search the Scriptures, for in them you think you have eternal life; and these are they which testify of Me.” In Luke 24:27 we are told: “And beginning at Moses and all the prophets, He (Christ) expounded to them in all the Scriptures the things concerning Himself.” Verse 18 of our text plainly mentions all three persons of the Trinity just as do John 14:16 and 15:26. Today is the first day of the new church year. Our meeting with Christ – one way or another – is imminent. More imminent than most of us are willing to admit. Now is the time for each of us to prepare, to examine ourselves in the light of a really imminent confrontation with God. We ask that we, ourselves, our souls and bodies may be a reasonable, holy and lively sacrifice to God. Reasonable, Holy and Lively: Acceptable to God, holy as He requires of us and spiritually alive. We must be in good standing with God in order to receive the Holy Mystery, and we must be in good standing when we come before Him, as we most surely will. It is no use putting off the day of examination. Better that we reckon with ourselves now, and correct our many shortcomings, than that we put it off and have to explain those uncorrected shortcomings to God Himself. We utilise the Advent season of contemplation of the Second Coming of Christ to examine and prepare ourselves. To that end we fast – as this is a season of fasting. This is a sober season because thinking about our many shortcomings is a very sobering thing to do. Fasting isn’t some formalised thing that the Church expects of us, it is a real, a serious thing that we do for our own good. We don’t do it because the Church instructs us to do it, we do it because we desperately need to do it. If we haven’t realised that, then we have probably missed most of the point of Christianity. This life isn’t the whole thing – it is merely the short introduction to Life. We are still at school, we are still preparing. None of us is wise, nor are we experienced in terms of the Life that we must lead beyond this introduction. Understanding the importance of what we do now is vital to us. It behoves us therefore to think a great deal about where we are going and just how prepared we are for the real task ahead of us. Today we should wish people a joyous and happy New Year in Jesus Christ. The Augustinian teaching on the descent of Christ into Hades is expounded in the fullest way in one of his letters addressed to Evodius. This letter contains a comprehensive interpretation of 1 Pet. 3:18?21. It follows from Evodius’ questions that the teaching on the evacuation of all in hell and the complete devastation of hell by the risen Christ was widespread in his time. Augustine begins with the question of whether Christ preached only to those who perished in the days of Noah or to all the imprisoned. In answering it, Augustine begins by refuting the opinion that Christ descended to Hades in the flesh and argues that this teaching contradicts scriptural testimony. Augustine continues by setting forth the view that Christ led from hell all those who were there, as, indeed, among them were ‘some who are intimately known to us by their literary labours, whose eloquence and talent we admire, ? not only the poets and orators who in many parts of their writings have held up to contempt and ridicule these same false gods of the nations, and have even occasionally confessed the one true God…, but also those who have uttered the same, not in poetry or rhetoric, but as philosophers’. The notion of the salvation of heathen poets, orators and philosophers was quite popular. In Eastern patristic tradition it was most vividly expressed by Clement of Alexandria. According to Augustine, however, any of the positive qualities of the ancient poets, orators and philosophers originated not from ‘sober and authentic devotion, but pride, vanity and [the desire] of people’s praise’. Therefore they ‘did not bring any fruit’. Thus, the idea that pagan poets, orators and philosophers could be saved, though not refuted by Augustine, still is not fully approved, since ‘human judgement’ differs from ‘the justice of the Creator’. As for the teaching on Christ’s preaching in hell contained in 1 Pet. 3:18?21, Augustine rejects its traditional and commonly accepted understanding. First, he is not certain that it implies those who really departed his life, but rather those that are spiritually dead and did not believe in Christ. Secondly, he offers the quite novel idea that after Christ ascended from hell His recollection did not survive there. Therefore, the descent in Hades was a ‘one-time’ event relevant only to those who were in hell at that time. Thirdly and finally, Augustine rejects altogether any possibility for those who did not believe in Christ while on earth to come to believe in him while in hell, calling this idea ‘absurd’. Augustine is not inclined to see in 1 Pet. 3:18?21 an indication of the descent into Hades. He believes that this text should be understood allegorically, i. e., ‘the spirits’ mentioned by Peter are essentially those who are clothed in body and imprisoned in ignorance. Christ did not come down to earth in the flesh in the days of Noah, but often came down to people in the spirit either to rebuke those who did not believe or to justify those who did. What happened in the days of Noah is a type of what happens today, and the flood was the precursor of baptism. Those who believe in our days are like whose who believed in the days of Noah: they are saved through baptism, just as Noah was saved through water. Those who do not believe are like those who did not believe in the days of Noah: the flood is the prototype of their destruciton. Augustine is the first Latin author who gave so much close attention to the theme of the descent of Christ into Hades. However, he did not clarify the question of who was the object of Christ’s preaching in hell and whom Christ delivered from it. Augustine expressed many doubts about particular interpretations of 1 Pet. 3:18?21, but did not offer any convincing interpretation of his own. Nevertheless, the ideas expressed by him were developed by Western Church authors of the later period. Thomas Aquinas, in particular, makes continuous references to Augustine in his chapter devoted to the descent of Christ into Hades. During the Reformation, many Augustinian ideas were criticised by theologians of the Protestant tradition. 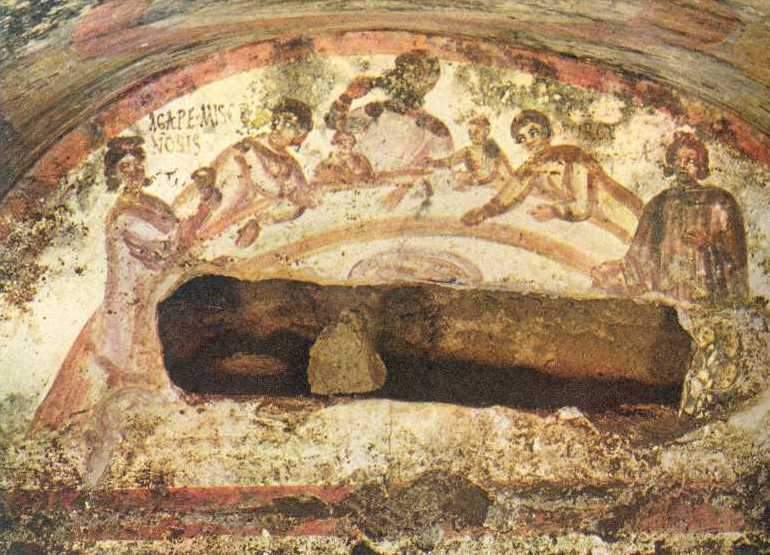 The teaching that the recollection of Christ did not survive in hell after His ascent was rejected by Lutheran theologians who insisted on the reverse. The critical edition of ‘Stromateis’: Clemens Alexandrinus. Band II: Stromateis I-VI. Hrsg. von O. Stählin, L. Früchtel, U. Treu. Berlin-Leipzig 1960; Band III: Stromateis VII-VIII. Hrsg. von O. Stählin. GCS 17. Berlin-Leipzig, 1970. S. 3-102. The Great Catechetical Oration 23?24. The Homily on the Three-Day Period (pp. 444?446). The text of the sermon in: Gregoriou Nyssis hapanta ta erga. T. 10. Hellenes pateres tes ekklesias 103. Thessalonike, 1990. Sel. 444—487. Since in this edition the text is not divided into chapters, we indicate page numbers. The Homily on the Three-Day Period (pp. 452?454). The Homily on the Three-Day Period (pp. 452?454). Cf. 1 Cor. 15:26. 5th Festive Letter 1, 29?40 (SC 732, 284). Lk. 4:18?19; Cf. Is. 61:1?2. Maximus the Confessor, Questions-answers to Thalassius 59. More on this teaching see in J. C. Larchet, La divinisation de l’homme selon Maxime le Confesseur (Paris, 1996), pp. 647?652. Concerning the teaching on the descent of Christ into Hades in the flesh, see: I. N. Karmires, ‘He Christologike heterodidaskalia tou 16 aionos kai eis hadou kathodos tou Christou’, Nea Sion 30 (1935). Sel. 11—26, 65—81, 154—165. See also: S. Der Nersessian. ‘An Armenian Version of the Homilies on the Harrowing of Hell’, Dumbarton Oaks Papers 8 (1954), pp. 201?224. Letter 164, II, 5 (PL 33, 710?711). Letter 164, III, 7?8 (PL 33, 710?711). Letter 164, III, 7?8 (PL 33, 711). Letter 164, III, 10?13 (PL 33, 713?714). Elsewhere Augustine describes as heresy the teaching that non-believers could come to believe in hell and that Christ led everybody out of hell: See, On Heresies 79 (PL 42, 4). Letter 164, IV, 15?16 (PL 33, 715). Summa theologiae IIIa, 52, 5 (Summa theologiae. Vol. 54, pp. 166?170). Summa theologiae IIIa, 52, 6 (Summa theologiae. Vol. 54, pp. 170?1720). Summa theologiae IIIa, 52, 7 (Summa theologiae. Vol. 54, pp. 174?176). Summa theologiae IIIa, 52, 8 (Summa theologiae. Vol. 54, pp. 176?178). An Early Christian Agape meal. You have heard that it was said, ‘You shall love (agape) your neighbour and hate your enemy.’ But I say to you, Love (agape) your enemies and pray for those who persecute you, so that you may be sons of your Father which is in heaven; for He makes His sun rise on the evil and on the good, and sends rain on the just and on the unjust. For if you love those who love you, what reward have you? Christian love – the highest level of love known to humanity – a selfless love, a love that was passionately committed to the well-being of the other – the love that consumes, the highest and purest form of love, one that surpasses all other types of affection. So what is this pure selfless “love”? How can we arrive at it. Difficult for those of us engaged in the tumult of family, work, the world in general. Difficult surrounded by the unloveliness of the world of mankind. Difficult, but not impossible. Imagine an attitude towards other people – all other people – of wanting their good and only their good. Of wanting the very best for each and every individual, regardless of what kind of person they are. Regardless of how evil they present themselves as being. Wanting only ultimate goodness for everyone. But not merely “wanting” – but actually going out as best one can to help them achieve that good, of putting oneself out without regard for self, to help others attain to that ultimate good – the good that means eternal life in the presence of God. God can indeed know what really is the good that we need, whereas we humans cannot know what good our neighbour needs – other than the obvious physical needs. So to a certain extent the result of our “love’ is looking after the material needs of others – as indeed Christ exhorted us to do. This however needs to be the nearest expression that we can get to of a far greater love and it is the acquisition of this greater love that marks the real Christian. No one else may know that the Christian has achieved this, but it will reveal itself to God. The first step is a selflessness, where one begins to worry about the wellbeing of our neighbours in preference to ourself. A milestone along the way is the measure of our prayer for others. We all pray at least some Offices during our waking hours – don’t we? And at the end of these formal prayers we have broken up among them, lists of everyone living and dead that we have ever known, and we mention them in prayer at the end of the Office – that is a step along the road. And of course, we have volunteered for some work that helps the less fortunate – or if we are truly busy supporting our family, we have found a little to donate. That is a step. Beyond that it is up to you to respond to the people that God places before you needing some sort of help or consolation or listening or counselling. But first we must cultivate the intelligent attitude of loving each and every one of our neighbours. True, we may avoid close contact with some and we may approach others with sensible caution, but we love them, that is the start. The anticipation of the Birth of our Lord and Saviour is already upon us. The Mystery of His birth into this world of mankind is one of the two most stupendous revelations contained in the Holy Scripture. Yet how can we come to the Mystery of His Birth unprepared? It is an event of great celebration to be sure, but it is an event of great solemnity as we look toward it. Christ came, Christ was Crucified, Christ rose from the dead, Christ will come again. We are reminded at this season of that last statement. Yes, He came, and we will celebrate that, more importantly though, He will come again – and will we celebrate then? Or will we want to hide? Knowing what we know now about ourselves and about the revelation contained in the New Testament of our Lord, could we have stood before the infant Christ at His Birth? This season is solemn, it is a season of anticipation, an anticipation of an event yet to come, to be celebrated in the name of an event that is history. Many Christians have spent their entire lives anticipating the Second Coming of Christ. They have noted the profound effect of His presence in the flesh among men, and they have been dismayed when they then compared themselves with the standard which the incarnate Christ held up for us to follow. Some such Christians sought to radically re-order their lives in order to amend them as best they could. They noted the absorption of the Church into the secular state and they fled from what they perceived as the resultant compromise. They were the original Desert Fathers – the monks who lived in the north African desert in the third century. Fairly quickly the standard of holiness of life that they raised up, spread and rapidly came to the British Isles, possibly joining with an already existing eremitic tradition, so that by the fifth century it reached as far as the Atlantic islands off the west coast of Ireland and Scotland – as far west as it could then go. It was then that St. Finnian the Leper and some monks founded the fantastic monastery of Skellig Michael on the Island of that name. The monastery is still there today as witness of their courage and faith. Their faith in a Lord Incarnate, Crucified, Risen and to come again. We look forward to the celebration of the Birth into this world of our Lord, the Master of Creation. We anticipate His return to us. Let us ensure as best we can, that the return is sweet to us as the anticipation, as the celebration of the historical Incarnation. He came that we might be Redeemed. We therefore anticipate the celebration of His coming, as we honour the faith of those went before us in the faith. The Collect for today prays that the minds of the faithful should be of one will. The Gospel speaks of the coming of the Holy Spirit, from Whom such unity of will comes. This is an appropriate thought for us as given that Orthodoxy is characterised by a unity of faith and doctrine which is not imposed by a distant bureaucratic hierarchy or the momentary whim of academic theologians but which is held in common by the body of the Church unchanged and unchanging through the past two millennia. The Church therefore, ought to pray constantly that she be preserved in this vital unity of faith, especially in these times when there are so many temptations to compromise that faith, to accommodate the world and to equate true Orthodoxy with other versions of Christianity. While it is apparent that we must welcome into Orthodoxy all those who come and knock on our doors, we must exercise due care and discernment as to how we handle those who come. We must be sure that they come for reasons of faith, that they are willing to learn and to become genuinely Orthodox and not merely seek a new variety of church. We need to discern a disposition towards unity of faith in those who come to us. We must pray that those who are already Orthodox are able to maintain a unity of faith and the ability to discern between what is of the Tradition of the Church and that which is mere national or cultural custom. We live in a society which, while it may be far from our desired condition, is nevertheless powerfully attractive to people. Unless we provide, with the grace of the Holy Spirit, a Church atmosphere of true faith and holiness, in a setting to which they are able to relate, we will have nothing to offer them and we won’t attract those in the surrounding community to Christ. . This does not mean any compromise of the Orthodox faith which is neither English nor French nor Greek nor Russian nor Serbian nor the property of any other cultural group. Orthodoxy is ultimately the only truly Catholic faith ,and as such has no option but to be the universal inheritance of mankind. It is the ancient faith of our people, as is attested by history. We rightly pray today for unity of will. We are called to be the light of Christ for the world. We are called to show forth Christ to all men, heterodox and pagan alike. We must have a unity of will if we are to discharge that duty. We must therefore pray the Collect for today and heed the words of Christ when He said that He would pray the Father and He would send the Holy Spirit to guide His Church into all truth. He has done that. The Church has acquired the truth and has taught that truth although not all who would call themselves Christian (Orthodox or otherwise) have accepted that fulness of the truth which the Church teaches. The Epistle and Gospel today point in the same direction as those of last Sunday: To the good and perfect gift that was bestowed on the Church after, and because of, the bodily departure of Christ into Heaven. It seemed strange and hard for the Disciples to hear Him say that it was expedient for them that He, their beloved Teacher should be lost and returned to them, and then go again. He said this so that they would be comforted with the foreshadowing of the glory and blessing of the New Dispensation to be perfected in His Resurrection and Ascension – in order that they should be prepared to recognise the fruit of the Resurrection and Ascension when it arrived; that His departure at the Ascension was greater gain through His continuing mystical presence than His remaining on earth could have been. The good and perfect gift which the Spirit of truth bestows on and through the Church, is therefore set before us as we draw towards Ascension Day, as the true reason why all sorrow for her Lord’s departure was banished from the Church. The Comforter came and as ever, His promise is kept. The passage here is a plea by the Apostle for people not to turn back – not to apostasise. Once having been privileged to enter into the One Holy Orthodox Church, to go back to the former state, be it unbelief or heretical membership is apostasy. It is a turning back against the Lord and against His sdacrifice of Himself for us. The state of grace of the individual is living in perfect accordance with the will of God. And doing that within the Body of Christ – which is the Church of Christ on this earth and there is only one such Body. It is not divided. True, men within that Church may disobey and quarrel amongst themselves. National (local) Churches may disagree with one another, individual bishops may disagree amongst themselves, they may sin by arousing their people in such disagreements, they may individually live sinfully or even whilst remaining in the Church, heretically for a time (as did some of the saints) yet there is still only one Holy Orthodox Church – the Body of Christ here in earth. To leave that Body of Christ deliberately is extremely dangerous for the individual. He casts himself loose from the protection of the Sacraments of the Church. Such certain protection is available nowhere else on this earth. He endangers those close to him and he places his soul in danger of the judgement. Loosed from the protection of the Church and her Sacraments, the former Believer is adrift. He may think that he has found a more agreeable group of people, or Pastor or bishop. In fact he has forsaken the Church’s shepherd in favour of the wolf. More seriously he may lead others into the same danger. Would a friend or parent knowingly do that? No, but the risk is in ignorance, in accepting the ecumenism which is rife in the pseudo-Christian world – the premise that all who call themselves Christian somehow constitute “the church”. Saint Paul says “He that despised Moses’ law died without mercy under two or three witnesses: Of how much greater punishment, suppose ye, shall he be thought worthy, who hath trodden underfoot the Son of God, and hath counted the blood of the covenant, wherewith he was sanctified, an unholy thing, and hath done despite unto the Spirit of grace?” His warning should be taken seriously, for the Orthodox Church is not just another Christian group – it is the Church of the Living God -not to be entered lightly, and not to be disregarded lightly. However, as the Apostle also says: “But we are not of them who draw back unto perdition; but of them that believe to the saving of the soul.” We are Orthodox Believers – true members of the Body of Christ. It behoves us to make the greatest effort to live out our loyalty to Christ, to follow His teachings and to hold ourselves in the closest possible union with Him all the days of our lives. In the First Lesson of Mattins set for this morning, is the story of Moses conversing with God, manifested in the burning bush. Having gained Moses’ undivided attention, God proceeds to tell him what it is that He wants Moses to do. It is no small task and Moses, accepting the task, immediately asks God how he shall overcome the scepticism of the Children of Israel when he turns up purporting to represent God. Who is God? What is He called? God says His Name is I AM. To us this is a very curious name and one that we simply do not understand. When we are given the Hebrew version: “Yaweh” (an arbitrary but nearly correct spelling) we are none the wiser. To the Hebrew speaker, however, it was immediately revealing. The Name that God gave them for Himself is a major revelation about God, by God. Yaweh is said to be an imperfect tense of the Hebrew verb ‘to be’. It is translated in Exodus 3:14 the first time as “I AM THAT I AM”, this being the nearest short approximation that the English translators could arrive. The implications of this imperfect or indefinite verb are ‘WAS-AM-WILL BE’. God is clearly saying to the Hebrew speakers that He is eternal timeless, that He has no beginning and no end. This is indeed a God to be reckoned with. The Gospel for today contains two words which are crucial both to the particular passage between Jesus and His Jewish hearers (who were apparently Pharisees) some of whom were inclined believe Him, and also to our whole understanding of Him. The words come towards the end of the set passage and they are the same words which occur in the First Lesson of today’s Mattins. Jesus’ rejoinder at the end in the Gospel in response to the incredulous question of the Jews: “Thou art not yet fifty years old, and hast Thou seen Abraham?” is: “Most assuredly I say to you, before Abraham was, I AM.” The Jews knew well the text, they recognised instantly the words from Exodus 3:14: “Thou shalt say unto the Children of Israel, I AM hath sent me unto you”. Here Jesus uses exactly the same Name for Himself, and the immediate conduct of the Jews hearing Him shows they recognised our Lord’s words as an assumption of the incommunicable Name: Yaweh: I AM. Jesus is claiming nothing less than He is God. He is saying that He is God. He is saying that He has the exact same nature as God the Father and the Holy Spirit, therefore He , They, are the One God. He clearly states on this and other occasions that He is God, nothing less than God, the selfsame God of Abraham, Isaac and Moses, that One God that was, is and is to come, for that is the meaning of the indefinite “Yaweh”, the Name that He used for Himself. There are those today in some churches, who say that in effect Jesus was little, if any better than an historical philosopher who gave us a philosophy and behaviour code to live by. They say that as a philosopher, His teachings can be adapted freely to the conditions that society makes for itself as time progresses. They consequently ignore those parts of the Gospel that do not suit today’s society and they dismiss as the fallible teachings of an ancient philosopher, those sayings of Jesus that do not fit their present political outlook. Jesus is, by them, therefore made to be a liar and should (by logic) therefore be completely disregarded. This is the logical conclusion to which much of the world has come. It is not possible to dilute the teachings of the Church of God and remain somehow a Christian. Against their pseudo-Christian new-teaching comes this open and unlimited proclamation of His Divine Nature, in the Gospel (as do several manifestations of the glory of Christ during Advent and Christmas). Through the humiliation of the Cross, just as through the humiliation of the manger, we may behold The Eternal, the Son of God: And see the rays of Divinity shed forth from His crucified Body. The Second Lesson at Mattins this morning recounts one of the events following the Ressurection of our Lord. A number of people were listening to the Apostles, when Peter began to speak to them. After he had spoken they said to him What shall we do? Then Peter said to them, Repent, and be baptised so that you will be forgiven your sins, and you will receive the gift of the Holy Ghost. For the promise of the coming of the Holy Spirit is yours, and to your children, and to all that are far off, even as many as the Lord our God shall call. And Peter went on speaking, saying, Save yourselves from this evil generation. Then they that gladly received his word were Baptised: And the same day there were converted about three thousand souls. And they continued steadfastly in the Apostles’ teachings and fellowship, and in breaking of bread, and in prayers. And fear came upon every soul. These Apostles were the foundation of The Church. This was right at the beginning of The Church – and here we see the process which has not changed from that day to this. These people realised that they must join the real Church, the Church that Jesus Himself had created. And just as we know today that there is only one Church that was genuinely founded by Jesus Christ: The worldwide Orthodox Church, so these people knew right back then at the beginning, that they must be in the company of the Apostles. The Bible text says: And they continued steadfastly in the Apostles’ teachings and fellowship. This means that they kept to precisely the teaching of the Apostles – nothing more and nothing less and were in The Church. Now we in our time know that there are many groups who call themselves Christian, yet who have added things to the teaching of the Apostles – and there are some smaller groups who have deleted things from the Apostles teachings. Yet, we also know that The Church – the Orthodox Church -has always remained true to the teachings of Christ and His Apostles. We know that it alone can point to its unbroken connection right back to Christ Himself. We know that He did not appoint one man to rule the world on His behalf. He said that the worldly rulers appointed such powereful men, but that He did not. We also know that there are very troublesome people who do not follow the teachings of Christ in their own lives, but who interfere when we try to follow His teachings and when we decide to be a part of the genuine Christian Church. We need to be wise when such people – who may be people that we like, friends, people at work – try to interfere in what we have decided to do. We should not listen to them. Our decision is made between us and God. Being in The Church means being saved. The Bible uses terms like “those who would (wanted) to be saved” “those who should be saved” It was those people who joined The Church. Others stayed outside The Church – in other groups which believed different things. That has been the way ever since. There are people – large groups of them, who call themselves Christian, but who refuse to teach the same things that Christ’s Church teaches. They contradict The Church, and yet still they call themselves Christians. We should beware of such people and not let them divert us from the path of The Church. The Gospel for today (Matt. 5:20-) is one of those that requires our fairly careful attention, for it includes a number of matters which are frequent cause for questions. Accordingly I would like to proceed through it seriatim. Beginning with verse 20, we come to the word “righteousness” in the context of contrast with the righteousness of a particular group of the society in which Jesus’ Disciples lived. The Pharisees advocated a behaviour which they termed righteousness and which consisted of “proper” behaviour – proper within the letter of the Law. There was in fact little or no room for love or compassion within their concept of righteousness. Certainly they worked very hard to maintain the letter of the Law – to a degree which we would find incredible. The righteousness that Jesus is talking about, on His own authority (“But I say unto you…”) begins with the relationship of the individual with God. It is a “right relationship” with God, one that must begin with Him. Through the Incarnation of the Son, God has made possible our reception of God’s own righteousness directly from Christ. His righteousness – which is the righteousness that we must acquire, is summed up by Him in His great summary of the Law: “Hear O Israel, the Lord thy God is One Lord; and thou shalt love the Lord thy God with all thy heart, and with all thy soul, and with all thy mind, and with all thy strength. This is the first and great commandment. And the second is like unto it, namely this: Thou shalt love thy neighbour as thyself. There is none other commandment greater than these. On these two commandments hang all the Law and the Prophets.” What He means is of course, that if one follows this rule, then as a matter of course, and with care, one fulfils the whole purpose of the myriad of legalisms that were incorporated into the Mosaic Law. It is the righteousness of the rule of love that Christ teaches, not the righteousness of cold legal conformity. The remainder of the chapter – up to verse 48 is actually a series of practical situational illustrations of what this love-righteousness means. Sinful, unrighteous anger is equated with murder – a fact which should sober us considerably. This is one of those sayings which we tend to think of as just sayings – yet this one is awfully important. Literally it means that every single one of us is just as guilty in God’s eyes as those who are in prison for murder. It means that we have no business considering ourselves as “ordinary, decent people” for we are not that at all. We tend nowadays to deprecate any tendency to wallow in guilt for our sins and it is something which a “healthy Christianity” deprecates – but not to the exclusion of a genuine recognition of the totality of what we have done wrong – our responsibility, individually and corporately and the absolute necessity of our seeking formal forgiveness. The very next admonition shows that up: The fact that we ought not come to receive Communion at the Liturgy if we know someone to have something against us. Incidentally, it was for this reason that the ancient Liturgies and our own Sarum and English Liturgies have a Kiss of Peace at the beginning – as a reminder that we ought to be reconciled in advance of approaching the Altar. Verse 25 (which is put in Saint Luke’s Gospel in the context of the end of this age) tells us that it is urgent for us to clear up all our disagreements and quarrels, for whether it be the Second Coming, our individual repose, or the reception of Holy Communion, we cannot allow matters to drag on in dispute and anger. All of this is Christ’s own illustration of the requirement that we adopt a righteousness that is not based on the letter of the Law, but upon the whole spirit of the Law. The terms Law and Righteousness always being synonymous with the relationship between us and God. Our relationship with God must be one of humility, obedience and a love received, reciprocated and disbursed by us. Today’s Gospel is the familiar story of the miraculous feeding of the people who were surrounding Jesus during His teaching. We have all heard the miraculous multiplication of the original food expounded time and again by preachers and writers. There is, however another aspect and it comes in the very opening words of this recounting. In those days the multitude being very great, and having nothing to eat, Jesus called His disciples unto Him, and saith unto them, I have compassion on the multitude, because they have now been with Me three days, and have nothing to eat. Here we have a picture of these people who have apparently been so strongly attracted by Jesus, by the things that He was teaching them, that they stayed away from home, without food or change of clothing or even, it would seem, shelter for three days. We are accustomed to hearing the Gospel read each Sunday, and the operative word is accustomed. We hardly pay attention. Those of us who read the Scripture every day are hardly more attentive. To speak truthfully, the wonder of what we are reading is frequently lost on us. It may not be too strong to say that perhaps familiarity is breeding if not contempt, then a certain insulation. Let us look at this again. Here is this teacher teaching those people who want to listen. Now teachers, itinerant and otherwise, Rabbis and other earned men were not that uncommon in ancient Israel. We know that there were others of all sorts immediately before Jesus and immediately after Him. Saint John the Baptist got fairly good crowds coming right out on foot from the city away from their homes into the desert to hear him. However, at least as far as the written record is concerned, this story is quite startling: A crowd of four thousand people stay away from home, without food for three days to hear a country teacher. If we look at that in the context of our own lives today, can we imagine going off for three days to hear a preacher? Let alone staying day and night in a crowd, sleeping on the ground, with nothing to eat the whole time. It really is rather inconceivable isn’t it? What does it tell us, this extraordinary behaviour? Perhaps it tells us that Jesus was a great orator? But that won’t do, for we have records of some of the great orators of his day and, well, frankly, He wasn’t in their class. But then He wasn’t trying to be, was He? He wasn’t interested in overawing his hearers with His great intellect or wit or logic or science. He was interested in changing their lives, their hearts from the inside out. Perhaps it tells us that Jesus was an extremely compelling teacher. That what He said and how He said it compelled people, even against some of their most basic needs, to stay and listen, in the face of discomfort and hunger, they had to stay and hear the rest. One often tries to imagine what it would have been like to have been in the company of Jesus. Would one have been among those who found it all too much? Could one have stood up to His searching of one’s soul? The fear that He would reject us as not good enough. But of course He never did that did He? People rejected themselves, they rejected Him, but He didn’t reject them – not even Judas Iscariot. The presence of Jesus must have been remarkable for those who had eyes to see. The teaching of Jesus must have been totally compelling, for those who had ears to hear. And here, we have a recounting of four thousand people who had just such eyes and ears, for they stayed for three days and nights, without food, sleeping in the open, just to see and hear Jesus’ teaching. The Epistle for today can also be called a passage of unity. Answering the problems of factionalism caused at least in part by the Gnostics at Corinth, St. Paul sets out to show them in this Epistle that the Church is One, Holy, Catholic and Apostolic. The part of the Epistle read today is that part which begins to deal with the Church being “One”. When reading Scripture while it is helpful to know the immediate matter being addressed, but it is vital to know the application that it has for us. So we may safely for the moment put aside the problems at Corinth in the years AD 53-55 and move to the meaning for us today. Those who call themselves Christian around the world in our time are, as we know, scandalously divided. The scandal lies perhaps not so much in the fact of the divisions as in the cause of the divisions. The Church was created by Christ as one, but it is populated on earth by fallen men and fallen men are exceedingly easily distracted. We find it almost impossible to concentrate on the task of worship and love even for the space of the Liturgy – our minds wander, we are distracted by the adversary who is constantly seeking to divert us from the main purpose of our existence. So it is really hardly surprising perhaps, that the Church often contains within itself groups of differing opinion – self-opinions usually. What is scandalous is the fact that these divisions widened to the point of schism. It is equally not very surprising that we find that once a schism of major proportions has occurred, others follow in what is historically speaking, fairly short order and they continue amongst them today. Men find it progressively easier to divide from their fellows after they have thrown off the unity of the genuine Church. Within the present day Church, what then, is the message that we read in the Epistle for today? The first thing that Saint Paul pleads for is that we “Have a uniform testimony” (speak the same thing). This means in effect that the Church testifies to Christ, interprets His Gospel in the same way everywhere. This is not (as some seem to like it) a rigid man-made uniformity imposed by some central earthly power, but rather, a uniform adherence to the revealed truth as it has been preached and taught down the succeeding centuries with one consent by the Fathers and the Church continuously. This is a Holy Spirit-regulated uniformity of doctrine that needs no central human power – although it does require that the Church be organised and have God-fearing Bishops to mind the doctrinal and spiritual business of the Church. In verse 13, St. Paul asks the question “Is Christ divided?” Indeed is the Church divided? The answer which is inherent in 3:18-23 and throughout the New Testament is an emphatic ‘no’. The worldly wisdom referred to throughout this unity passage is the holding of private opinion in doctrine, and the interpretation of Scripture apart from the Church’s revelation from Christ Himself. This is separation from the Church, as there can can be no such thing as a real division of the Church. There can be autonomous parts of the same Church but division means division from, not division within. The scandal for today is that there is not unity within the ranks of all those who call themselves Christian and that among such people many are spectacularly and attractively creating truly non-Christian religions which pretend to be Christian. What we have to guard against is the attraction of some of these ideas for those within the Church. We must testify to the eternal Son of God, Who was born of a pure Virgin, was crucified for us, died, descended into hell, rose from the dead, ascended into Heaven and will come again. We must steadfastly give testimony to God the Holy Trinity, a God Who has an ongoing interest, involvement in. love for, and part in the workings of this present world and for each and every one of us. A God Who very well revealed Himself to genuinely holy men down the centuries (whose testimony we have), Who is totally consistent and Who cannot be ‘reinterpreted’ by un-holy worldly-conscious academic speculators. We must witness from the historic, continuous, unified, Apostolic Church that doesn’t need new twists to make its message interesting to this or that group within a novelty-addicted society. 1 Maccabees 2:1-28. Here we have the account of Mattathias ben Johanan HaCohen, the country priest of Modiin, and his revolt against the abandonment of the Jewish religion at the behest of the Seleucid Greek emperor Antiochus IV. Mattathias is the father of Judas Maccabees who would become famous as the leader of the Maccabees. However Mattathias, in BC 167 could stand the situation no longer. When he saw the blasphemies that were committed in Judah and Jerusalem, he said: Woe is me! wherefore was I born to see this misery of my people, and the holy city, and to dwell there, when it was delivered into the hand of the enemy, and the sanctuary into the hand of strangers? Living as we do in this post-Christian era, we often feel the same way that Mattathias did. We see the Christian heritage of our countries delivered into the hands of “strangers” – people who, while born into our heritage, have abandoned it and estranged themselves from the Christianity that formed our forebears for two thousand years. We see the ornaments of our Christian culture taken away by these “strangers” and replaced with alien concepts. More to the point, we see those who are supposedly the Christian leaders in our society, openly making way for the anti-Christian forces to enter in and take possession. The voice of the remaining Christian leaders seems muted and weak, aimed at the remaining Believers, and rarely outwards towards the anti-Christians. Mattathias comes from a time when history was rapidly leading towards the coming of God to incarnation into this world to enable the salvation of mankind. History was speeding up towards the greatest point in all time: The Incarnation, the coming of the Messiah: God incarnate. We are heading towards the last days of Trinity season, speeding towards Advent and the celebration of the Holy Nativity of our Lord into this world, and so it is appropriate to read of Mattathias and the events before Christ’s Nativity. Given the parallels of our time: The general abandonment of Christianity, the inability or unwillingness of our Christian leaders to make themselves heard, the willingness of so many to sacrifice at the behest of the new secularism and the obvious speeding of events around the world, one might be forgiven for imagining that the Second Coming of Christ cannot be far away. We do not, however, know that. All we know is that many times He enjoined us to act at all times as if His coming was imminent. That is the Christian Believer’s standing order: To act at all times as if Christ Himself is at the point of returning. We must be found by Him to be attending faithfully to our appointed tasks as best we can. Given the almost universal secularism of our society, the question for each of us at this time must be: Are we in fact doing all that we ought to be doing to call our society back to the Christian Way? And if not, why not.